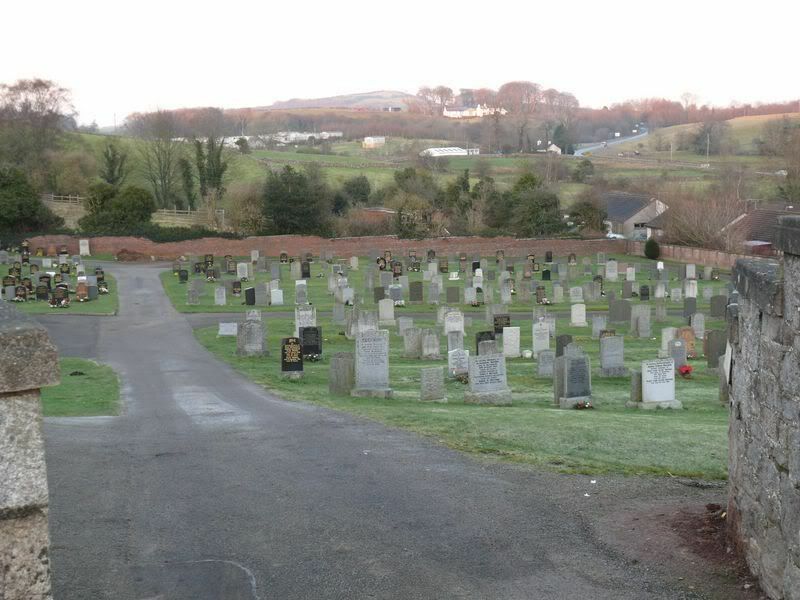 Location is to the North of Dalbeattie off the road to the left at OS Map Ref NX 832 621. 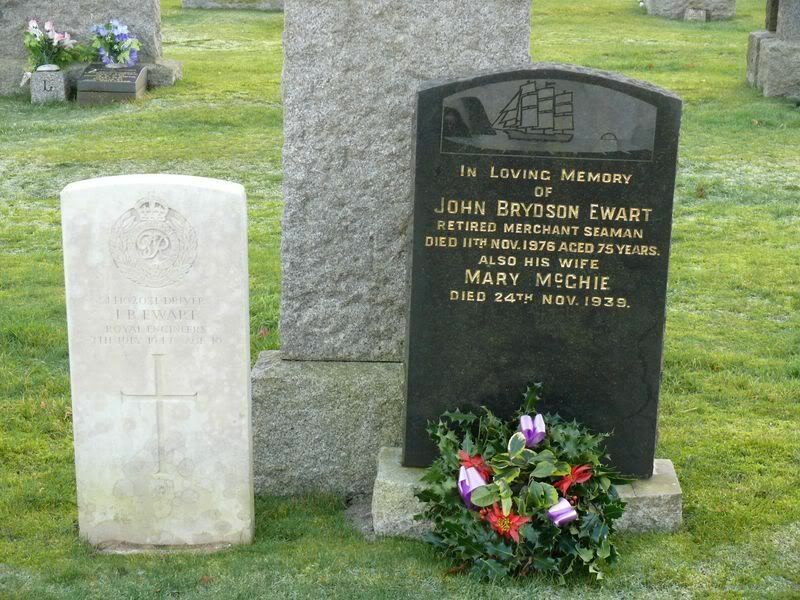 Additional information: Son of John Brydson Ewart and of Mary Ewart (nee McKie), of Dalbeattie; nephew of Elizabeth Jean Wykes, of Dalbeattie. 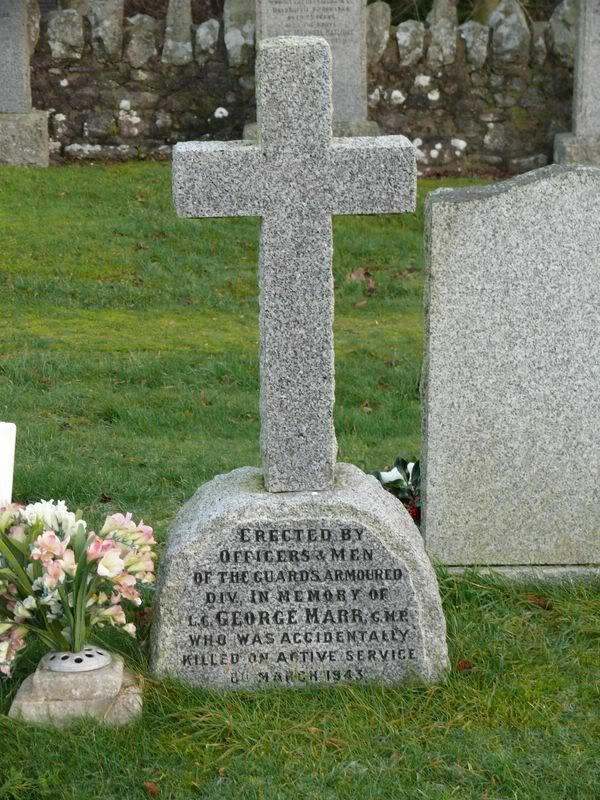 Additional information: Son of George and Janet Carson Marr, of Dalbeattie. 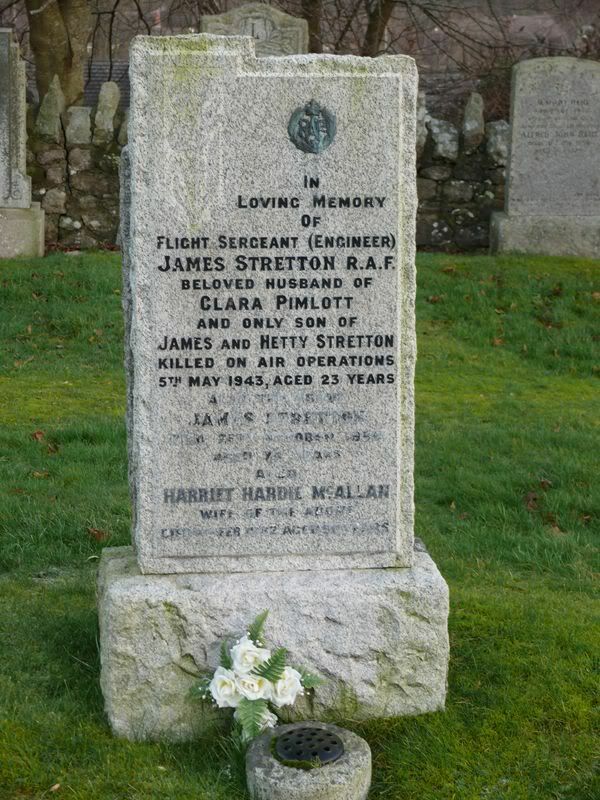 Additional information: Son of James Hornby Stretton and Henrietta Stretton, of Dalbeattie; husband of Clara Stretton, of Radcliffe, Lancashire. 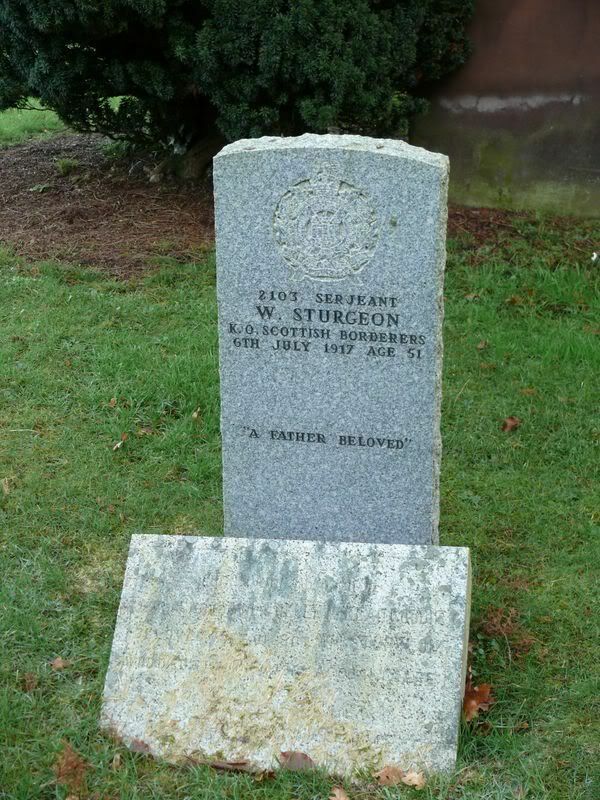 Additional information: Eldest son of the late Robert Sturgeon, of Dalbeattie; husband of Helen McKean Goudie Sturgeon. 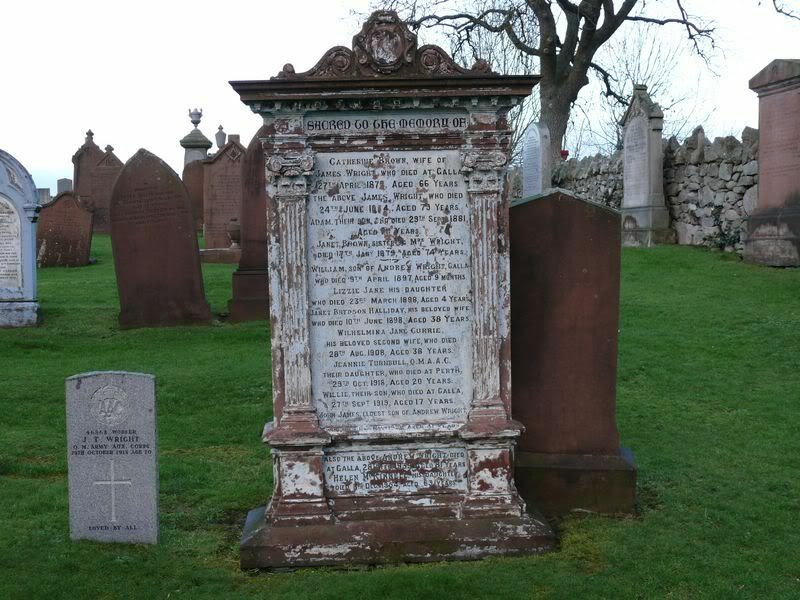 Grave/Memorial Reference: F. 5 and 6. 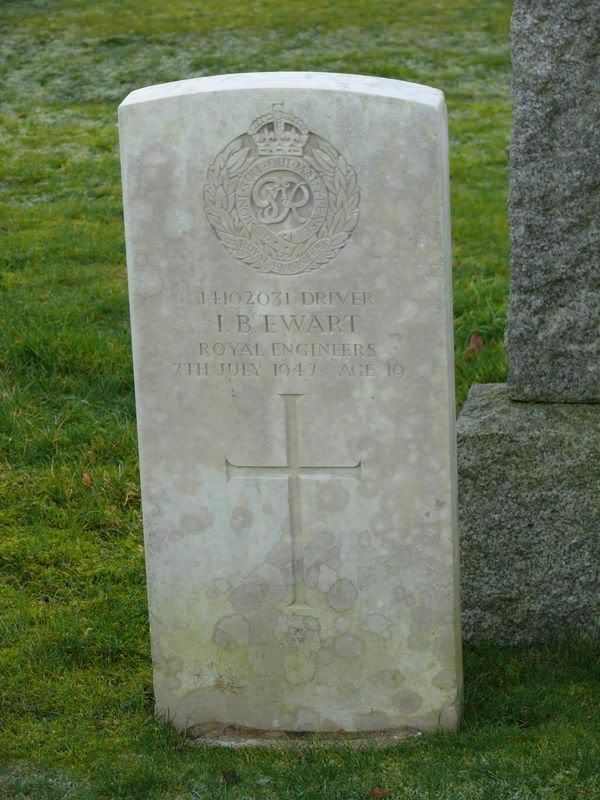 Colour Sergeant Syme died from injuries as the result of a rifle bullet wound, on Scalloway Rd. whilst being conveyed to Lerwick, Shetland. 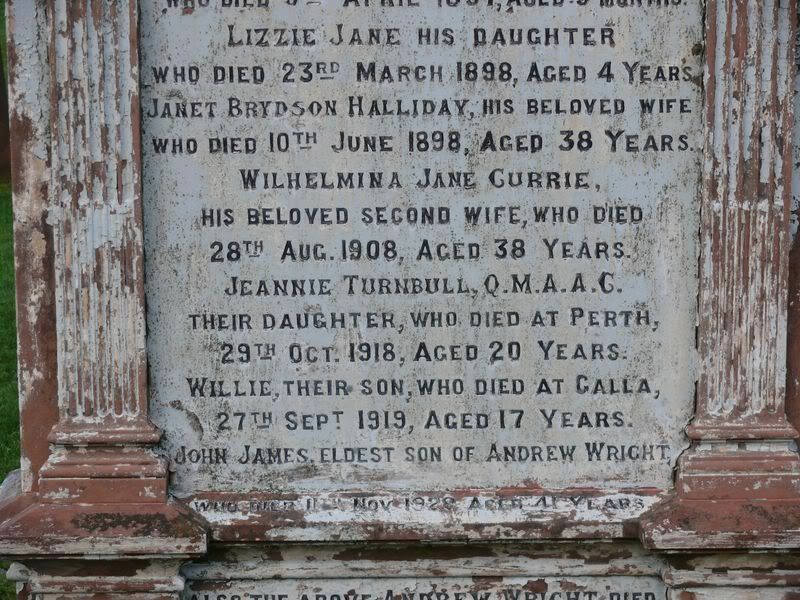 Additional information: Daughter of Mr. and Mrs. Wright, of The Galla, Dalbeattie. 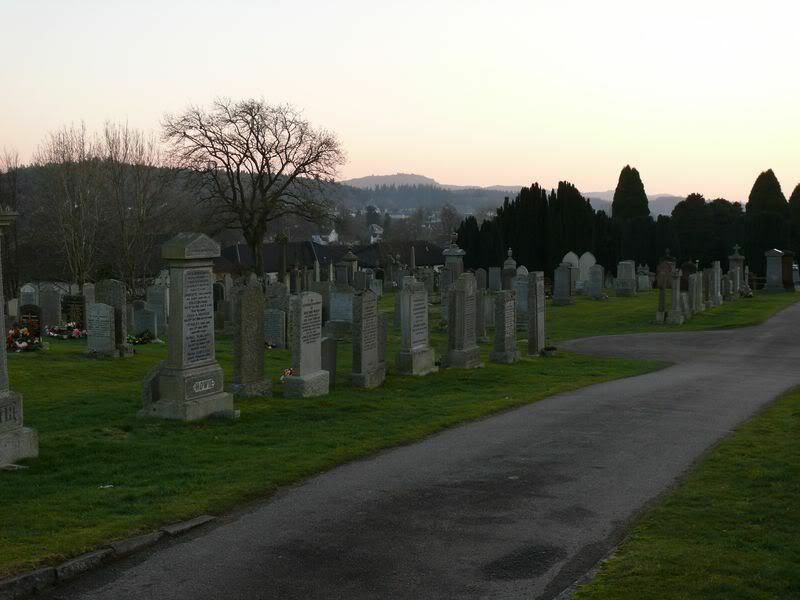 Grave/Memorial Reference: 4A. 1st Extn. 23. 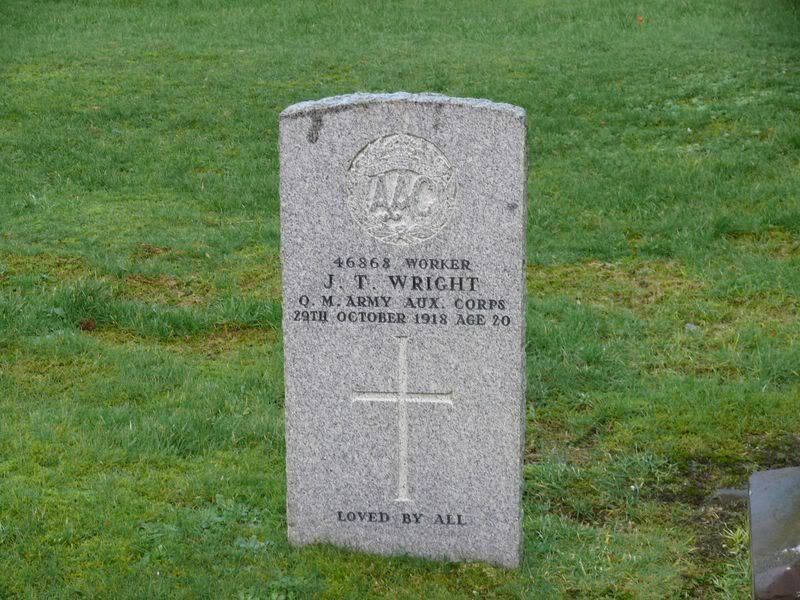 Jeannie Wright's CWGC stone is beside the family stone that also has an inscription to her. 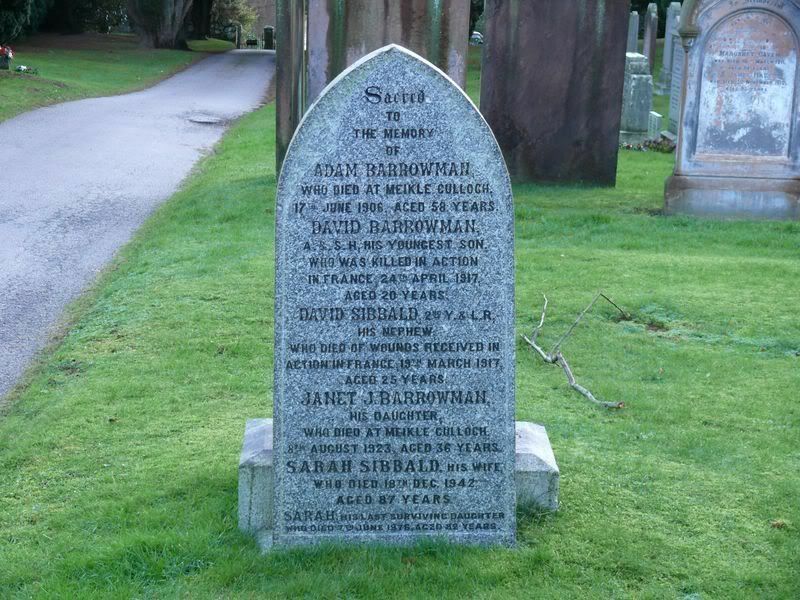 This provides a good comparison of the size of these local family stones. 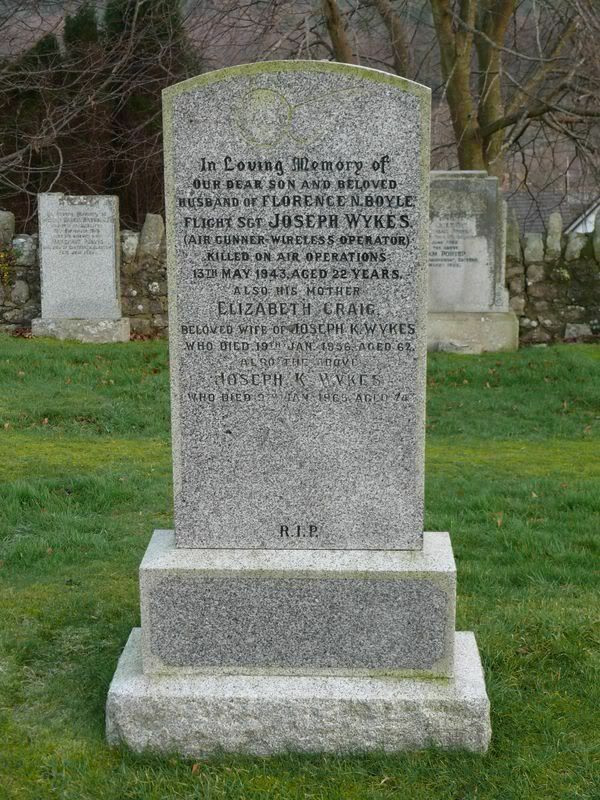 Additional information: Son of Joseph and Elizabeth Wykes; husband of Florence Wykes, of Welwyn, Hertfordshire. 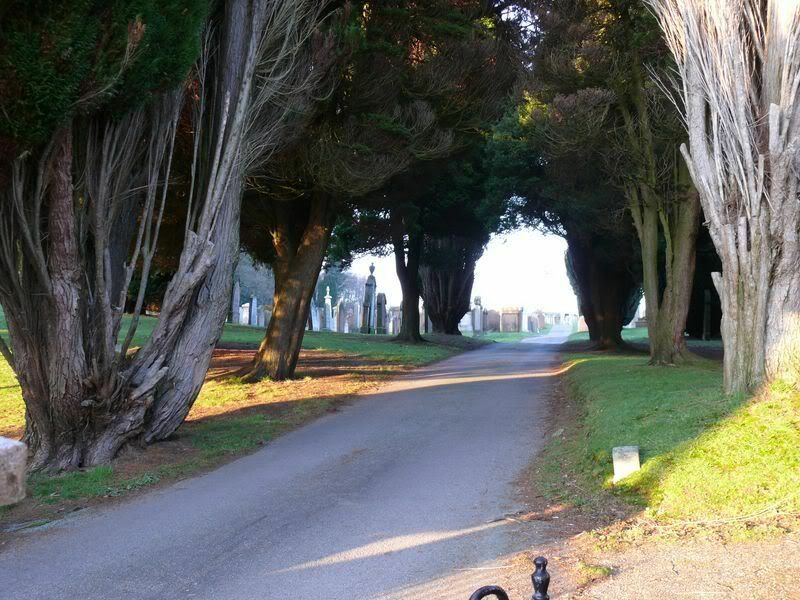 Grave/Memorial Reference: Last Extn. 1126. 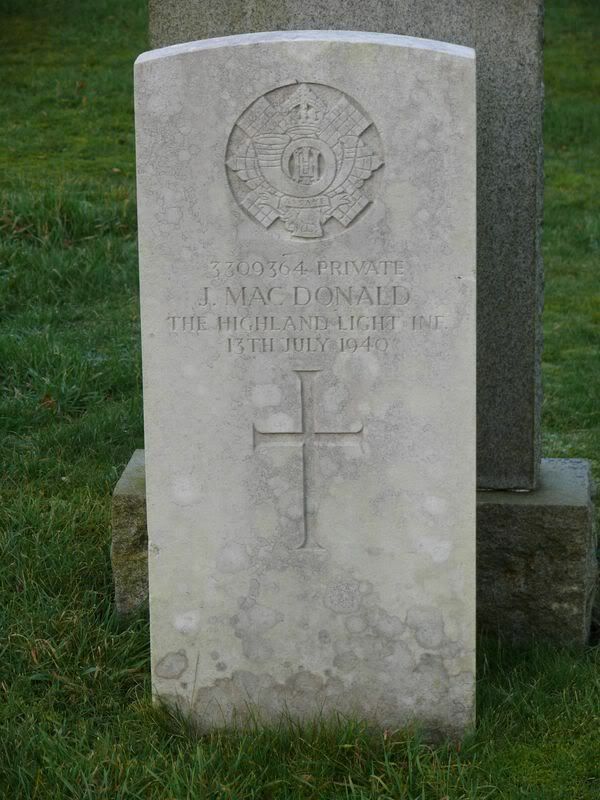 Unit Text: 56th Field Coy. 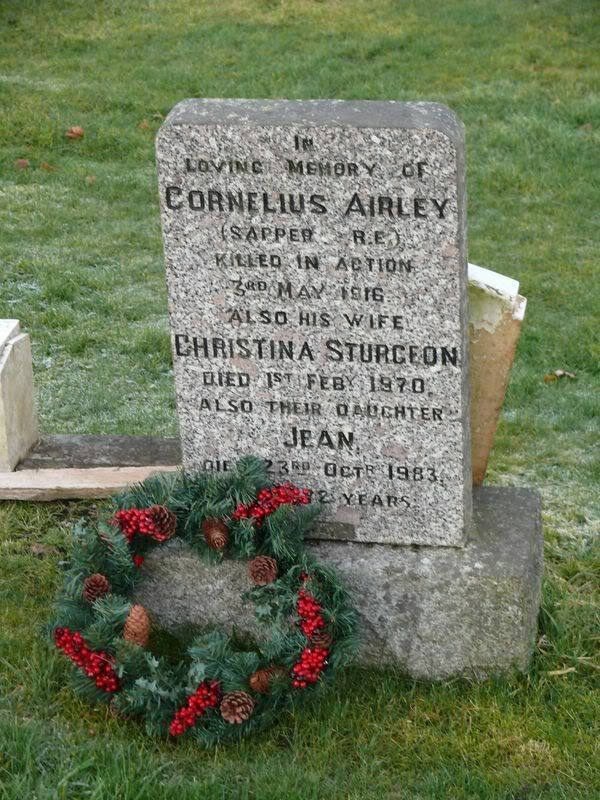 Additional information: Husband of Christina Sturgeon Airley, of "Woodside," William St., Dalbeattie, Kirkcudbrightshire. Grave/Memorial Reference: III. D. 20. 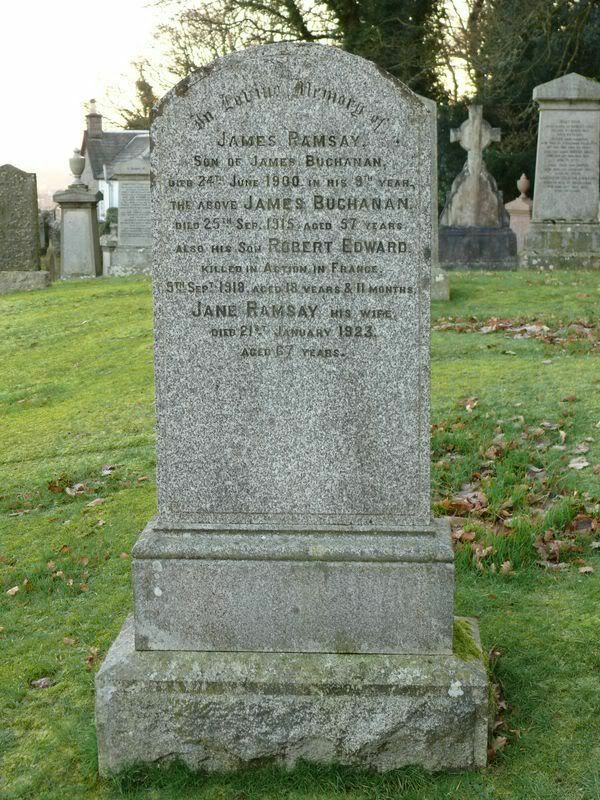 Additional information: Nephew of Mrs. Sarah Barrowman, of Meikle Cullock, Dalbeattie, Kirkcudbrightshire. 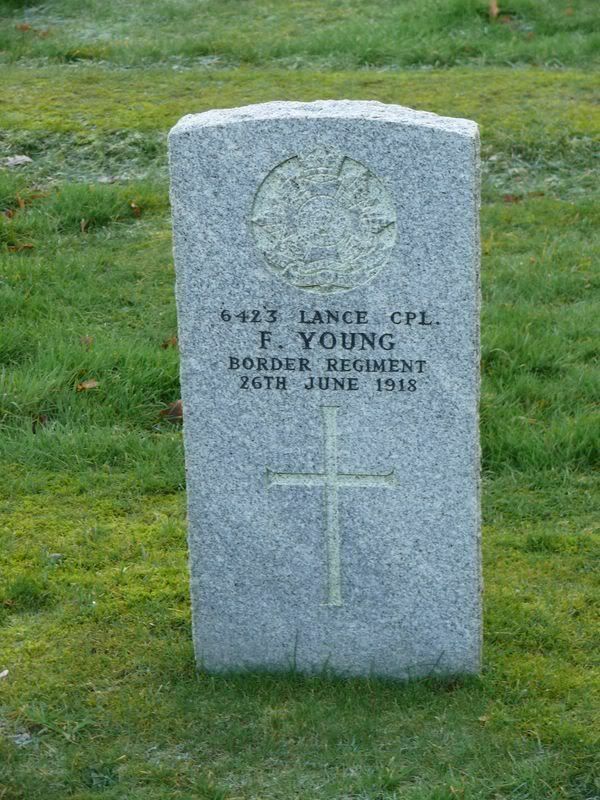 Grave/Memorial Reference: I. O. 42. 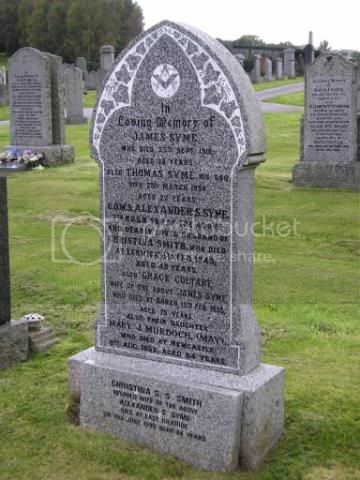 Grave/Memorial Reference: V. O. 28.